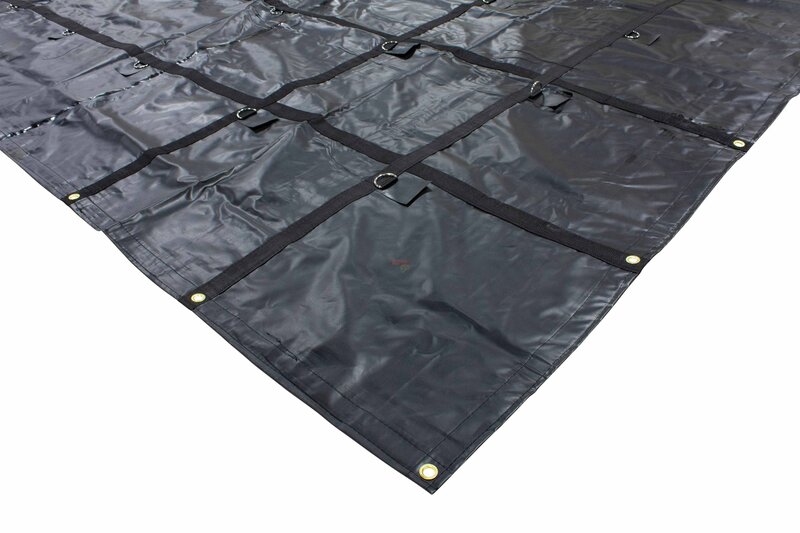 16' x 24' Steel Tarp is made with Heavy Duty 18 Oz Vinyl. 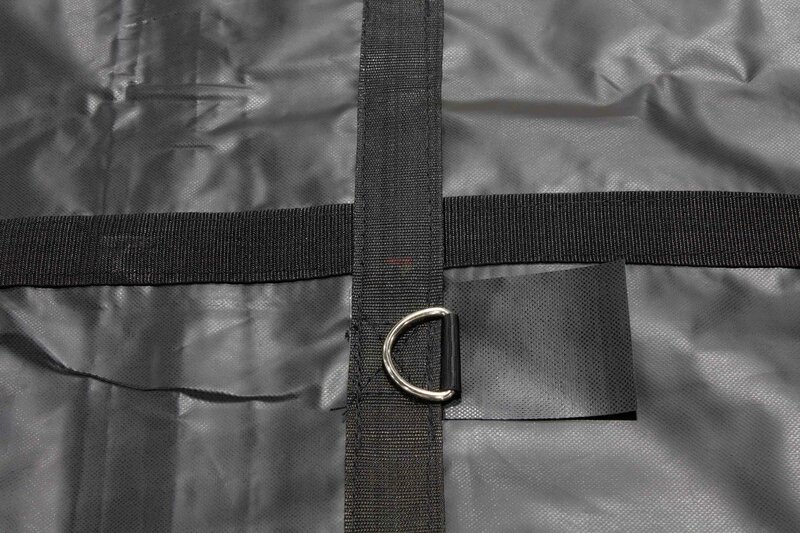 All hems are re-enforced with 2" webbing and double stitched for extra strength. 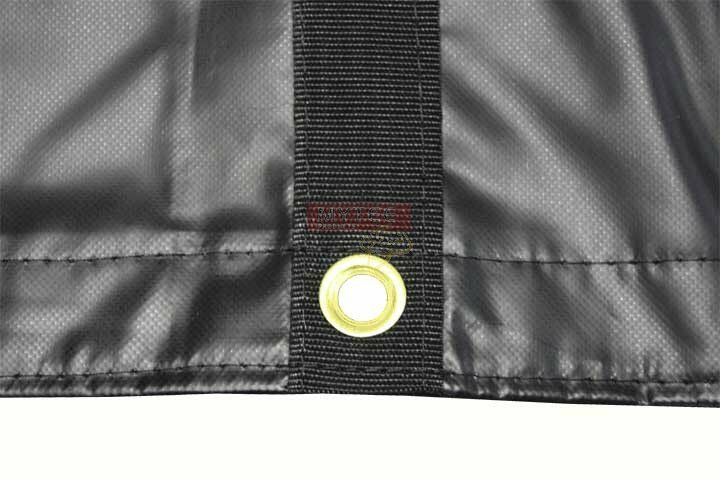 Tough solid toothed brass grommets clinched every 2 FT in this steel tarp. 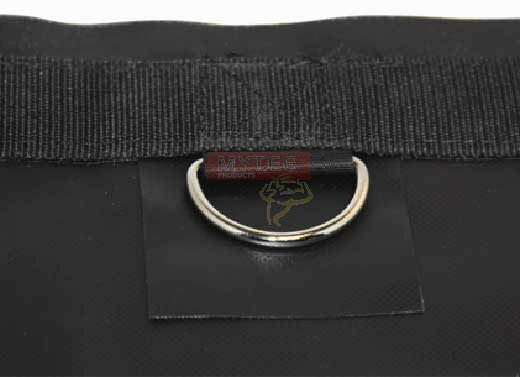 You will get two rows of "D" Rings box stitched with protection flaps. 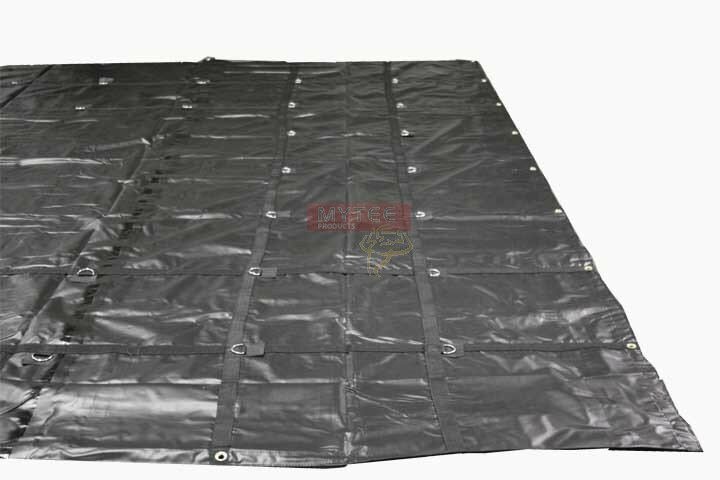 This steel tarp is for use with flatbed trailers up to 52' in length. 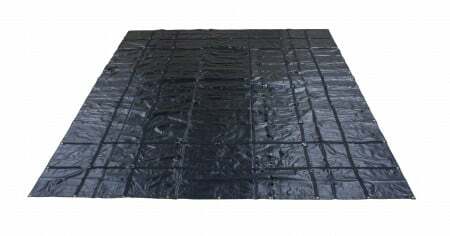 Base cloth of this heavy duty steel tarp is 1000 x 1000 Denier / 18' x 18'. 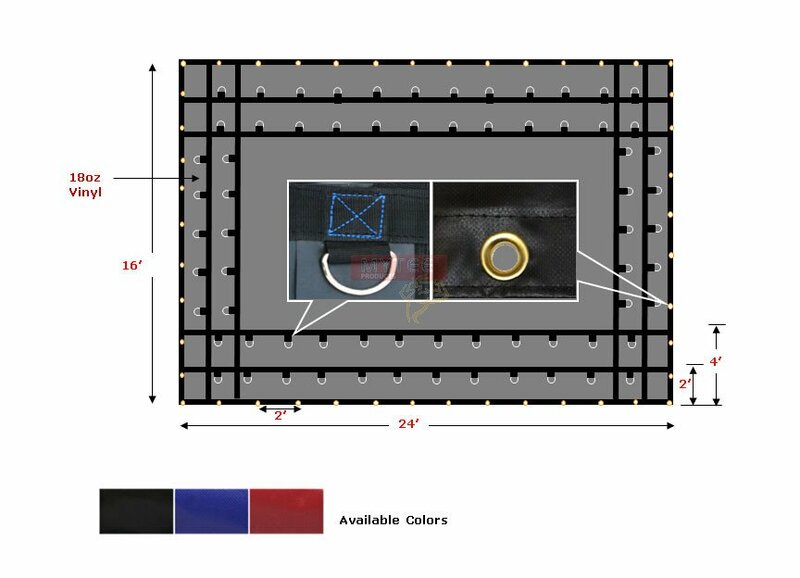 The Cold Crack is -40 Degrees C and weight is only 60 lbs. 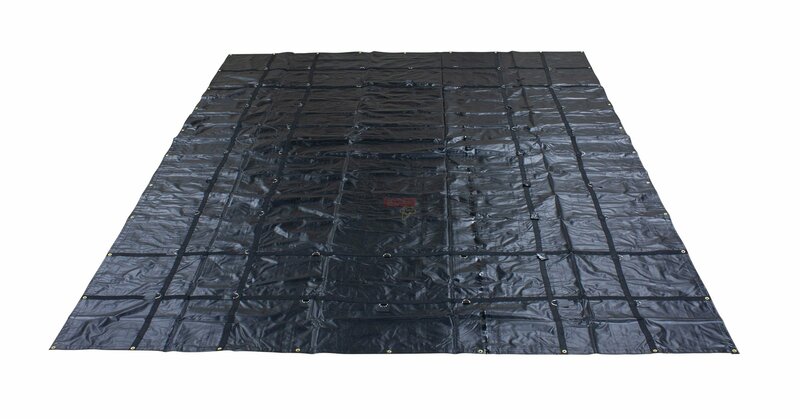 This steel tarp is available in black color.